Your success in the ecommerce world is directly linked to your marketing efforts. If you know how to market your ecommerce brand correctly, you’ll be able to carve out your market share in this space. I wrote this post to help anyone with an ecommerce store improve their marketing efforts. I’ll explain how ecommerce is different from other types of marketing, and show you actionable ways to implement the sub-disciplines within the scope of ecommerce marketing. By the way, you can also download my spreadsheet as a resource to help you out. Before we go any further, I want to make sure you have a clear understanding of what ecommerce marketing means. So by definition, we can say that ecommerce marketing is essentially driving sales through online promotions. Unlike traditional marketing methods (print, radio, TV, billboards, etc.) you’ll use digital techniques to market your ecommerce business. 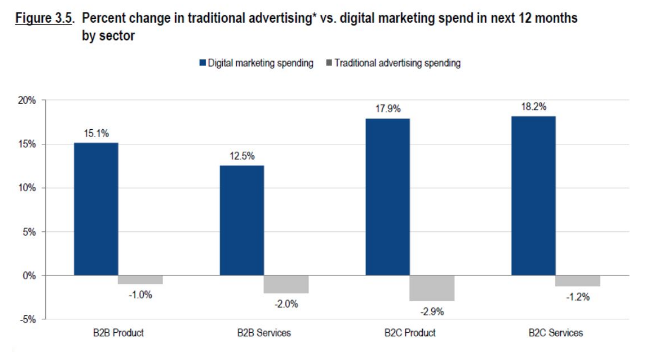 Digital marketing budgets are increasing across all business sectors, while traditional advertising is decreasing. But it’s important to understand that ecommerce marketing and digital marketing are not the same thing. Businesses with physical stores can still use digital marketing to promote their brands. Ecommerce marketing is strictly for ecommerce shops selling online. The SaaS market is expected to reach $75.7 billion by the end of next year. SaaS stands for “software as a service.” By its nature, SaaS sales are facilitated through online platforms. But with that said, SaaS products and service-based lead generation sites won’t have the same marketing approach as ecommerce websites. I want to quickly highlight and identify the biggest differences here. SaaS marketing focuses on TOFU (top of the funnel) and BOFU (bottom of the funnel) pages. Ecommerce marketing will have more MOFU (middle of the funnel) architecture compared to SaaS. I’m referring to things like category pages, peer reviews, and related products. For ecommerce marketing, visual is EVERYTHING since consumers are purchasing a tangible product. All of this isn’t as important for SaaS marketing. SaaS marketing is more geared toward B2B audiences, whereas ecommerce marketing is primarily for B2C companies. SEO and conversion optimization are both different for SaaS and ecommerce marketing as well. For example, ecommerce sites have tons of product pages where they can write descriptions and have more room to apply keyword optimization. SaaS sites usually rely on driving conversions on just one landing page. Mobile optimization is more important for ecommerce marketing compared to service-based marketing. That’s because mobile commerce is projected to account for 73% of total ecommerce sales by 2021. Anyone who has an ecommerce business can implement an ecommerce marketing strategy. You’ll need to leverage other tools, resources, and platforms to do this successfully. But ultimately, the main goal is to drive traffic to your website and convert that traffic into sales. As I said earlier, ecommerce marketing will have more MOFU content to reach prospective customers during the consideration stage. 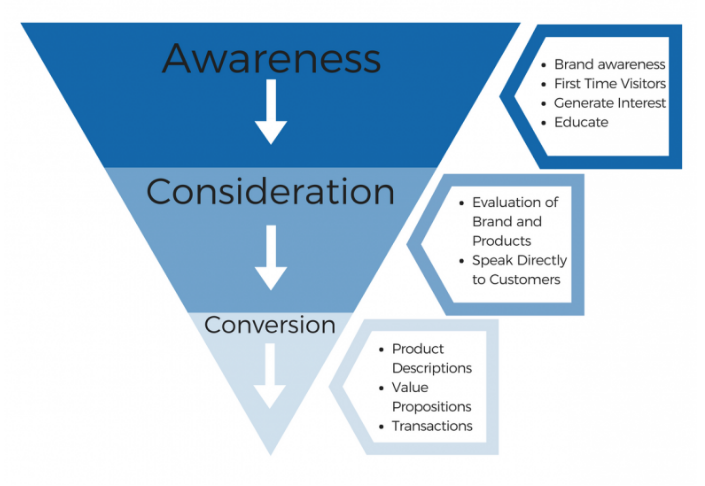 A traditional marketing funnel, like the one pictured above, can be applied to any business in any industry; it’s not exclusive for ecommerce shops. You have to understand the difference between marketing funnels and ecommerce conversion funnels since the two terms are often confused. Basically, you’ll use a traditional funnel (with ecommerce specific strategies) to get consumers to start the ecommerce conversion process. 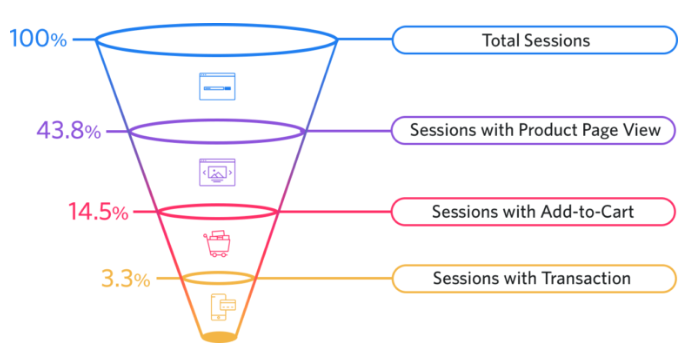 Here’s what that ecommerce conversion funnel looks like, with the average conversion rates at each stage. As you can see, this funnel is very different from the first. It’s specific to ecommerce businesses and cannot be applied to brick and mortar stores. Ecommerce marketing can be simplified into just two main components. Get your traffic to convert. Approaching ecommerce marketing from this angle makes it much easier to understand. But there is so much more involved when it comes to the application of these components. We’ll discuss different strategies as we continue through this guide. I want to preface by saying that I think marketing plans are stupid. So I don’t want you to waste your time writing a traditional plan. But with that said, you’ll definitely need a course of action. You still need a plan—just not a BS outline that’s going to take you weeks to write and format. You just need a basic plan to give you something to follow. This will help you stay on track. You’ll also want to set measurable KPIs based on this plan to see if your approach is working or if you need to make some adjustments. Don’t make things more complicated than they need to be. Take a simple approach. Instead of trying to implement every single ecommerce marketing tactic you see online, just start with one thing. For example, how did you initially acquire your customers? Double down on that. You can realistically scale your ecommerce business with a singular marketing strategy. I recently wrote a case study on this subject. DODOcase was able to sell $1 million worth of product in just 90 days. They were able to do this selling a product in a highly competitive space—iPad cases. So how did they do it? It’s simple. DODOcase was able to build hype for their product by using influencer marketing to target consumers. This blog post from Cult of Mac generated more than 1,500 transactions in just one day. What did DODOcase do after this successful campaign strategy? Did they try and reinvent the wheel and try to find new ways to reach their customers? No. They reached out to other blogs with a big reach in this niche to get the product featured on those publications as well. That’s not the only company that was able to scale their ecommerce business with a singular marketing strategy. I have another case study on how Wholesome Culture used UGC and viral content to drive six-figure sales. Again, it’s not rocket science. They found a strategy that worked and continued to use it moving forward. Acquire customers and generate conversions at a low cost. Increase AOV (average order value). Think about it. If you’re able to do all of these things, then your ecommerce shop will be a huge success. When companies make this more complicated than it needs to be, that’s when they start to struggle. Okay,now that you know the approach to ecommerce marketing, it’s time to go through the steps you need to take to implement it. Don’t forget to download my spreadsheet to help you with this. Some of you might think that this is a wasted step and just skip over it. Ecommerce marketing goals are obviously to drive sales, right? Sure—but that won’t necessarily be the goal of each campaign. Remember, you want to keep it simple and try scaling a singular strategy. If you have a new ecommerce business, you can’t just rely on people navigating to your website and making a purchase. Your prospective customers don’t know who you are yet and don’t know about your products. So in this case, creating brand awareness would be a reasonable goal. On the flip side, think about an ecommerce company that has already been in business for years. They have an established brand name and presence in their industry. Since they already have customers, this business can set goals based on customer retention and increasing lifetime value, as opposed to creating awareness or generating leads. These types of campaigns won’t be the same as a brand awareness approach created by a startup company. Do you see the difference? All of your goals will ultimately work toward your overall objective of driving ecommerce sales, but the path will vary, based on how you set your goals from the beginning. Who are you trying to reach based on your goal? Even within your overall target audience, you could have campaigns that target specific groups of people within that category. For example, let’s say you sell clothing. Your ecommerce shop has products for both men and women. You’re using social media to build awareness and gain a loyal following. From there, your goal is to monetize your followers. It’s a simple strategy. But your campaigns for monetizing female followers will look different from males. This is especially crucial for those of you who are running paid ads. It’s a waste of your time, money, and resources if your male target audience is seeing campaigns for new dresses and blouses. Sure—that person might be a current or prospective customer, but that ad won’t get that specific person to convert. Ecommerce marketing can be expensive, but it doesn’t have to be. It all depends on what you can afford and what you’re willing to spend. No matter what you do, keeping customer acquisition costs as low as possible needs to be a priority. 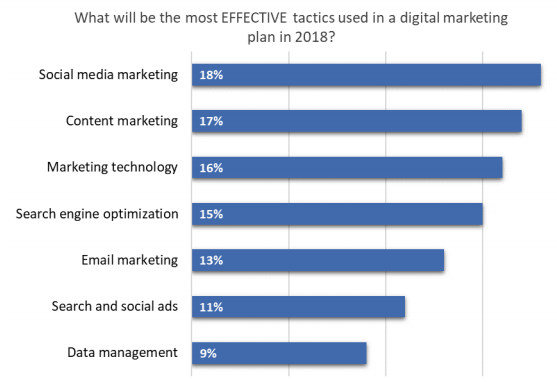 If you plan to just dump as much money as possible into various marketing strategies, assuming that will deliver you the best results, you’re strongly mistaken. There are plenty of low-cost customer acquisition and retention methods that you can use for your ecommerce marketing approach. For example, I have a case study on how a footwear company built an ecommerce brand with a 50% repeat purchase rate. Did this cost them a fortune? No. All they did was double down on a strategy that worked for them. The company prioritized customer service, so that’s where they allocated the majority of their budget. There are lots of different ways to distribute your content. Fit within your budget (low-cost acquisition). Are you going to distribute content through your website with ebooks, “how to” guides, and an FAQ section? Will you run paid ads and PPC campaigns? Your answer will depend on the other steps. We’ll talk more about the different types of ecommerce marketing and determining their complexity shortly. Now you have to put your framework to work and actually distribute the content. Don’t try too many things at once. Stick with what works before you mix it up. If you try an implement a blog, infographics, UGC, videos, and email marketing all at once, none of them will be achieved to their full potential. You’ll also have trouble measuring which methods are actually working. So stick with what you know and perfect it. Exhaust that strategy before you move on to other methods. The type of content you create will depend on what you’ve determined in the previous step. For example, let’s say you decided that you want to reach consumers via Instagram with shoppable posts. Well, obviously, using an email template won’t help you. This type of content doesn’t translate to that platform. But with that said, you can always repurpose your existing content. For example, let’s say you created a product demonstration on YouTube. You can share that video with your email subscribers, embed the video in your blog posts, and use clips of it on social media to drive ecommerce sales. Ecommerce marketing is not just one thing. It encompasses different subdisciplines and strategies. But with so many different options to choose from, it can be challenging to decide which ones to use. That’s why you need to have a method for your approach. The best way to do this is to rank your methods by assigning a score on a 1-5 scale. Each method should have two rankings. Rank based on the difficulty of the idea and its implementation. Rank based on the impact of the strategy and its results. In a perfect world, you want to stick with strategies that have the lowest difficulty (1) and the highest impact (5). In this case, Strategy C would be your best choice. Even though A and B both yield high impacts, the difficulty levels are high as well. The idea here is to execute your strategy in the most simple manner possible. With that said, challenges should still be addressed. 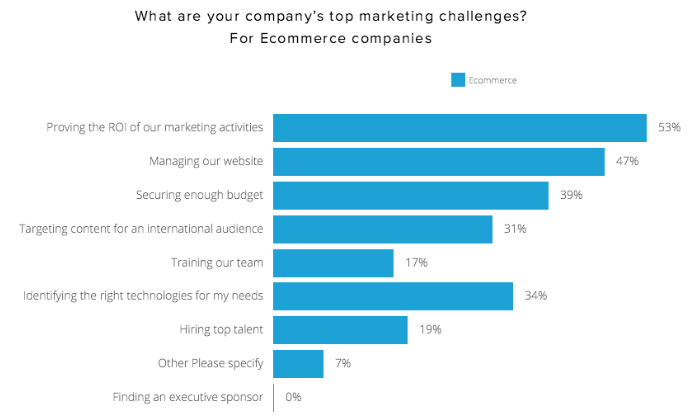 Here’s a look at some of the top marketing challenges for ecommerce companies, according to research from HubSpot. Rather than just dismissing them completely, you need to ask yourself why certain strategies aren’t working or why they have a high difficulty ranking. Is it because of your execution? Do you need more resources? Or is it just not viable? You can always add layers and complexity once you master an approach in its simplest form. How do you judge difficulty? This answer is different for everyone, but I recommend starting with your competitors and your traffic source. For example, getting traffic on Facebook could be difficult because everyone uses it. But with that said, ecommerce brands still have success on that platform. Basically, you need to ask yourself how much effort, time, and resources (including budget) need to be exhausted. Usually, competitive spaces require more resources. Let’s say you want to use SEO tools to help improve your ranking position. If you’re looking at enterprise level software that costs $2,500 per month for a year contract, that’s a much higher barrier to entry compared to using cheap or free tools. Instead, you could do something different like posting on Reddit to drive sales. I have a case study on how Findlay Hats made $28k in sales with Reddit posts. Keeping all of this in mind, these are the different subdisciplines of ecommerce marketing. Search engine marketing is also known as SEM. This is not the same as SEO (search engine optimization), although the two terms are often confused. With SEO, you’re using Google’s algorithm to optimize your content for rankings. But SEM involves much more than that. You can pay to be a top hit for certain keywords. This strategy works for some ecommerce brands more than others. It depends on how competitive certain keywords are and how much money you want to spend on PPC campaigns. Start by creating a Google AdWords account if you want to use SEM for your ecommerce shop. In order to have a successful email marketing strategy, you need to collect email addresses. There is an art to this strategy. Why should someone sign up to get emails from you? You need to give them a good reason. Maybe it’s to receive a discount off of their first purchase. Or maybe they want exclusive offers and notifications when new products are released. Whatever the reason might be, make sure you deliver on your promise. Segment your subscribers. 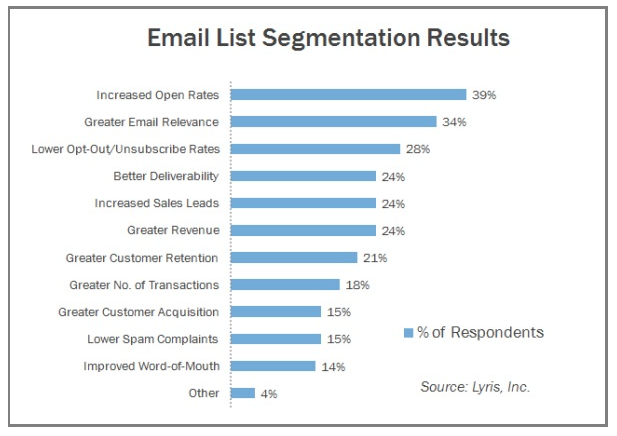 Just look at the benefits of email segmentation. Not everyone should be getting the same email. Collecting email addresses and sending content to your subscribers alone won’t generate results that lead to ecommerce sales. Recipients need to open your emails, consume the content, and then act. So all of your emails must be crafted perfectly, from the subject line to the CTA. Run drip campaigns on new subscribers to turn them into customers. Send shopping cart abandonment emails. Follow up with your customers by having automated post-purchase emails. All of these will help you drive ecommerce sales. You need to have a presence on as many social media channels as possible. But prioritize the ones that your target audience is using the most. This won’t cost you anything except for your time. Sure—you can eventually run paid ads on social media platforms, but that’s not a requirement. I’d recommend engaging with your audience organically first. All of this is free. Once you reach 10,000 followers on Instagram you’ll have access to the “swipe up” feature, so you can drive traffic to your ecommerce site. You should also take advantage of social commerce. Facebook and Instagram let you sell directly on through their platforms by syncing your product catalogs. This is an exclusive feature for ecommerce shops. Referral programs are great for ecommerce shops. You just need to give your customers an incentive to refer their friends and family. The best way to do this is by offering monetary rewards for referrals. Here’s an example from MeUndies. In this case, both parties are rewarded. The referred customer receives a 20% discount, and the customer who sent the referral gets $20. This incentivizes everyone to make a purchase. If you can implement this properly, you’ll create a cycle of new customers constantly referring more new customers. In fact, 83% of ecommerce customers say they are willing to provide referrals. Furthermore, a customer who has been referred is 4-5 times more likely to refer new customers as well. These customers are 25% more profitable and 18% less likely to churn. 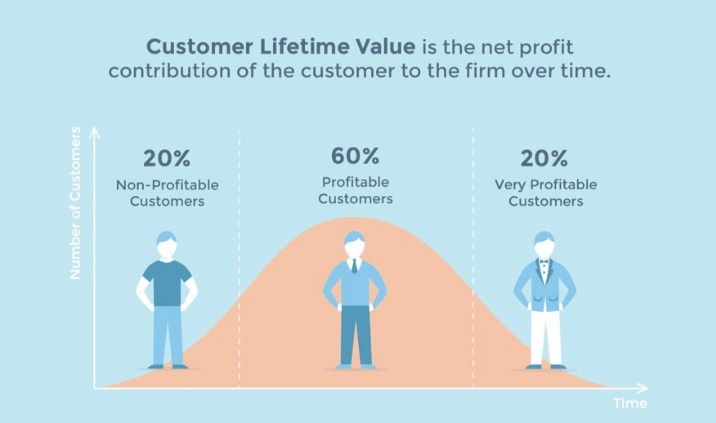 Referred customers have a 20% higher average order value and 25% higher lifetime value. Overall, this can be a winning strategy for your ecommerce marketing approach. Your ecommerce brand should partner with people who have a large reach on social media. This can be a segment of your social media strategy. Basically, you pay someone to promote your brand and products through their own distribution channels. It’s very cost-effective, especially if you work with micro influencers. You don’t need to find celebrities like the Kardashians or Kanye West to be successful with this approach. It’s much more reasonable to work with micro influencers who will only charge you a couple of hundred dollars per post. Depending on the scenario, you might be able to get away with sending the influencer free products instead of paying them altogether. Micro influencers (less than 100,000 followers) have up to 22 times more buying conversions than celebrities. It’s an effective strategy because their audience is more likely to follow their advice. In fact, 82% of consumers are highly likely to follow recommendations made by micro influencers. Lots of what we talked about so far falls within the content marketing spectrum. But as an ecommerce brand, you should always be creating digital touch points that will reach your audience. These are all great ways to start producing more content. This will help you get customers with inbound marketing. By creating more digital touch points, it increases the chances of people finding you organically. Product buying guides are great for this as well. For example, let’s say your ecommerce shop sells power tools. So you create buying guides on what to look for when purchasing a specific type of tool. When a consumer searches for that term, they can find your guide, follow your advice, and then buy directly from your ecommerce site. Remember, ecommerce marketing is more than just getting people to your website. You need consumers to convert as well. I’ll briefly cover the most important factors you need to take into consideration to optimize your ecommerce site for conversions. Your website design encompasses things like colors, text, CTAs, and navigation. The design needs to be optimized for the user experience. Things need to make sense logically. There shouldn’t be any confusion, and the checkout process needs to have as few steps as possible. The best way to know if your website is properly designed is by running A/B tests on the different elements. Continue to market what you’re selling through each phase of the conversion funnel. Your product pages are crucial for this. 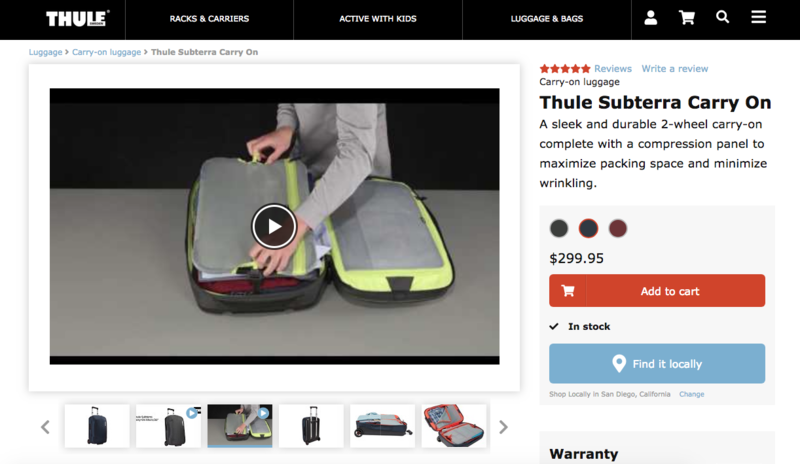 Check out this example from Thule. Instead of just having photos of their products, they have video demonstrations as well. This is a huge selling point for their on-site marketing approach. In addition to pictures, videos, and visual content, you should also include product descriptions that have been optimized for search engines. Adding customer reviews to your product pages will increase conversions as well. 95% of consumers read online reviews before buying. 72% of customers won’t take an action until they’ve read a review. 97% of online shoppers say that reviews influence their buying decisions. So it makes sense to include these on the product page to serve as marketing material right at the point of purchase. What is your differentiation strategy? Why should consumers buy from you over everyone else on the Internet? Your value proposition needs to address these questions. It should be obvious, as soon as a visitor lands on your website. Everyone should know the value that you’re offering. Your website needs to be optimized for mobile devices. That should go without saying. 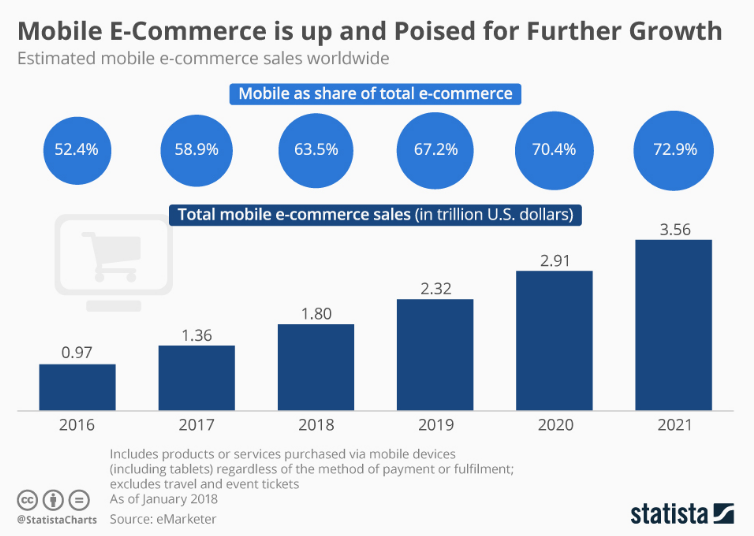 Mobile commerce is growing at a rapid rate. More people are shopping from their mobile phones and tablets. Ecommerce businesses need to adapt accordingly. Furthermore, you can also consider building an ecommerce mobile app. Online retailers have a 6% conversion rate on mobile web browsers, but a 21% conversion rate from mobile apps. An app will improve the customer browsing experience and allow you to improve your marketing strategy with more personalized tactics. You’ll also have a better chance of communicating with your customers through push notifications if you have an app. It starts with brand awareness, then moves on to lead generation, and then lead nurturing before the purchase is finally made. But you can’t stop marketing after the purchase. Keep targeting users through all of these methods. Your strategies will change once someone becomes a customer. Instead of having content centered on your value proposition and brand awareness, you can pitch your customer referral program. The biggest mistake I see ecommerce businesses make is that they forget about retention. When in reality, you have a 60-70% chance of selling to an existing customer, but just a 5-20% chance of selling to a new one. Your entire ecommerce marketing strategy can be summed up in two steps. Acquire customers as cheap as possible. That right there is a winning strategy. If you can get new customers through cost-effective strategies and keep them around for a while, you’ll have a huge return on your marketing investments. Not everyone is selling direct to consumer. Ecommerce marketing can be applied to B2B brands as well. 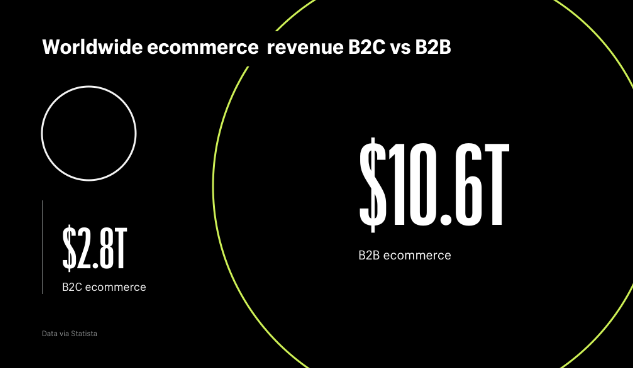 According to Shopify, the global B2B ecommerce market is nearly four times higher than the B2C sector. Your strategy will be a bit different on the B2B side of ecommerce. For example, instead of using platforms like Instagram, you’ll be better off using LinkedIn. Your target audience is different here as well. You’re going after other business owners or managers. So you need to adjust your content to make it more appealing to those types of people. So, what is ecommerce marketing? It’s a loaded question. Ecommerce marketing is not just one thing. In short, it’s promoting your online shop with digital and non-digital tactics. Ultimately, you want to drive sales, but you can’t just go straight from A-Z without hitting steps along the way. You’ve got to know your approach. Come up with a plan that’s simple, cost-effective and results-driven. Measure your KPIs to ensure that it’s working properly. 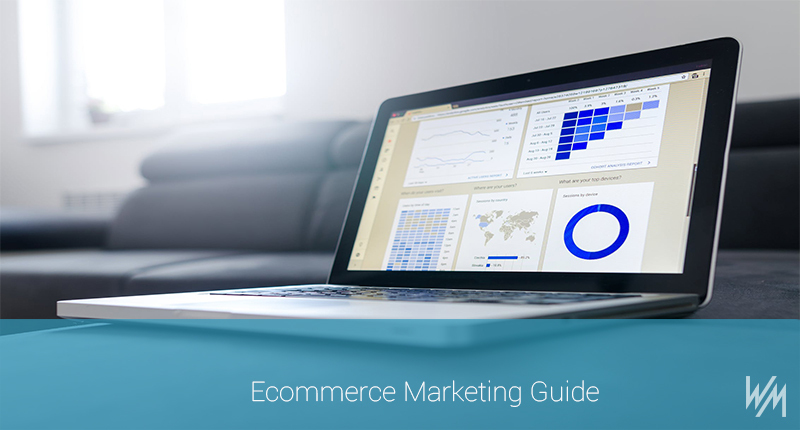 Use this guide as a reference to help you with your overall ecommerce marketing strategy. Don’t forget to download my spreadsheet as a resource as well.